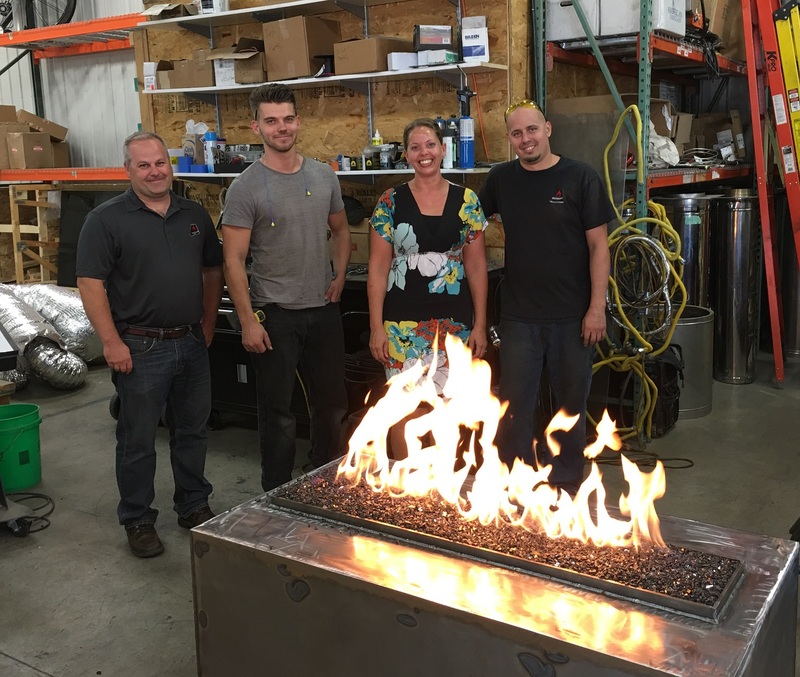 Acucraft Custom Outdoor Fire Pit – Meet Our Team (from L to R): Mike, Fireplace Advisor; Max, Fireplace Testing Technician; Kristen, Customer Experience Manager; Anthony, Custom Fireplace Welder. Earlier this year, Jay Howard of BUILD LLC, came to us looking for a custom gas outdoor fire pit to fit within a specific location for a new home he was building. 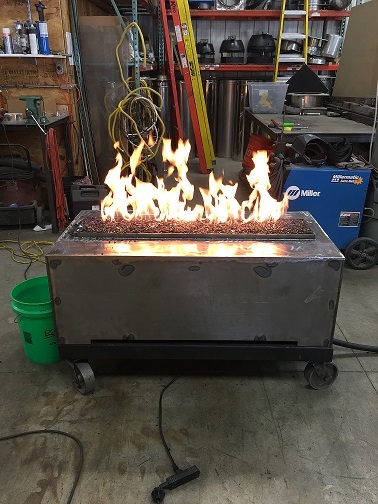 Jay’s gas fire pit was designed to be enclosed by the customer with the gas and electric components being brought from underneath the unit itself. Two of our Fireplace Designers, Adam and Robin, custom designed a stainless steel H-burner for this unit with air being pushed up on either side of the flame as well as through the middle ensuring a tall, consistent flame and minimizing the flame’s turbulence. Quality & Consistency are important factors when it comes to outdoor fire features; we spent over three years researching and internally testing 15 different ignition systems before choosing our All Weather Electronic Ignition System (AWEIS). All of our outdoor fireplaces, fire pits, and burners come fully equipped with our All Weather Electronic Ignition System (AWEIS) ensuring operation in rain, wind and snow so you can enjoy your outdoor space year-round! Just like with every one of Acucraft’s custom fireplaces, this outdoor fire pit is made of 7 gauge steel and double welded inside and out to ensure a lifetime of enjoyment. 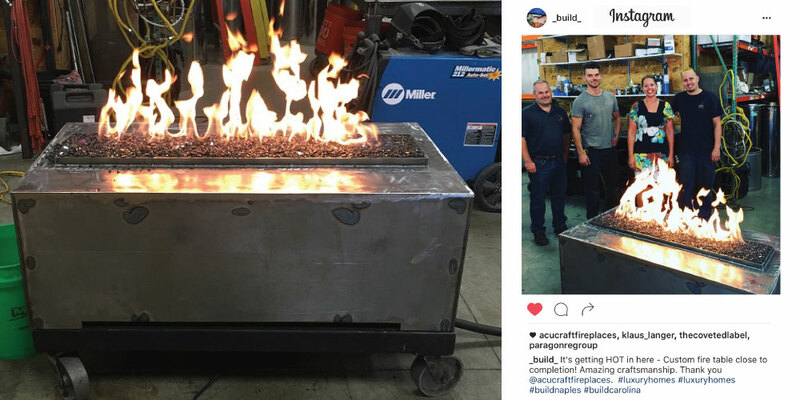 This particular custom outdoor gas fire pit was fabricated and manufactured by one of Acucraft’s skilled custom gas fireplace welders, Anthony “Twizz” Carlson. 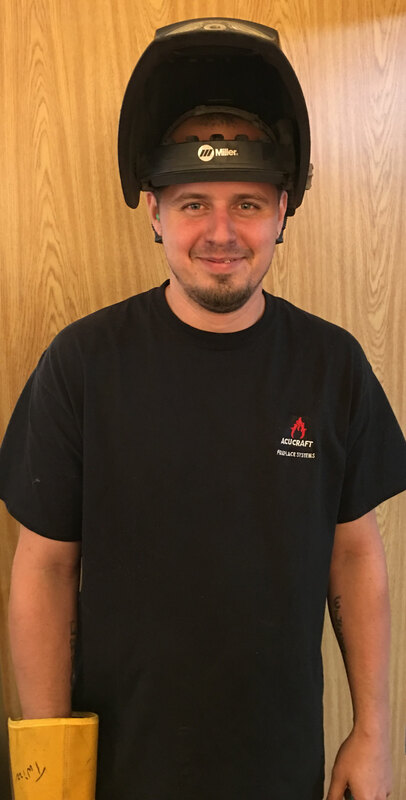 Twizz started with Acucraft in 2015 after working as a welder for over 14 years! His favorite thing about Acucraft? The people! The satisfaction and pride he receives from being a custom fireplace welder comes in at a close second. Click here to learn more about your Acucraft team. Every Acucraft custom gas fire pit, fireplace, and burner is internally tested to exceed ANSI Z21.50/CSA 2.22 Standards. Our custom gas fireplaces are one-of-a-kind, exclusively designed and fabricated to meet your needs! 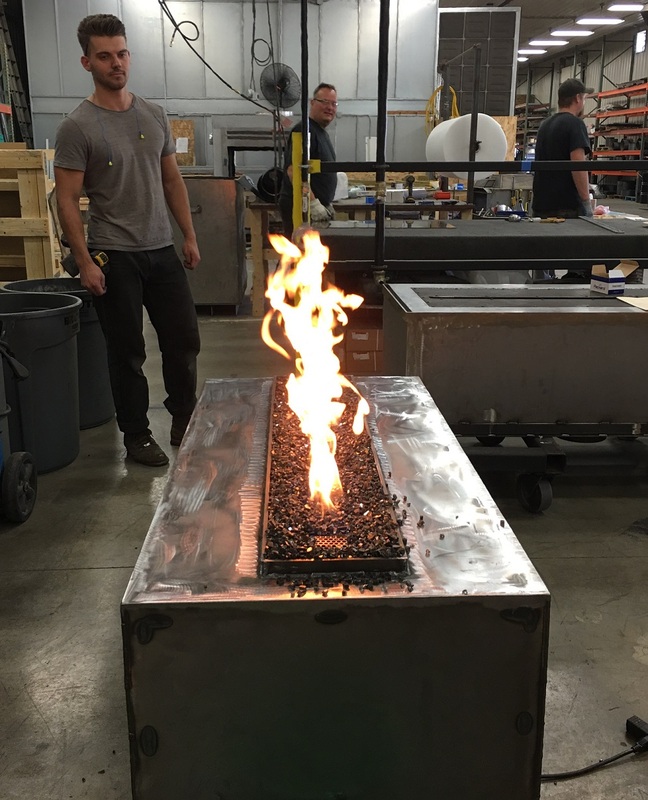 Below is a video of Jay’s custom gas outdoor linear fire pit being tested in our internal test lab before shipping out to it’s new home in North Carolina. It was a pleasure working with Jay and we look forward to collaborating on future projects! t. Acucraft did great work, really."